In a World of Big Data, Time to Insight Matters - Data Quality and Security Do, Too. In performance terms, BI and analytic tools cannot process big data sets. If they work at all, they will take a long time to display results. The myriad of structured, semi-structured, and unstructured data sources available today is beyond the read or processing capabilities of most BI tools. BI tools usually cannot handle real-time or brokered data without pre-processing. And, if they can, feeding individual displays rather than a governed environment creates redundancy and uncertainty. Garbage in, garbage out. Most BI tools and newer generation data preparation tools do not have the capacity to determine if data is clean nor scrub or standardize it when it is not. For information to be trusted and shared, inherent data quality is required. You may not have an effective strategy for masking sensitive data bound for reports. You may need a more convenient way to secure data at risk ahead of time, and maybe reveal it later. The design and modification of report and dashboard layouts are already complicated. Integrating data from disparate sources for every new report is another challenge for data and ETL architects, DBAs, and business uers. Data silos also create data quality, security, storage, and synchronization challenges. Is there a way to address all of these problems at once ... to integrate, clean, and mask all this data so your analytic or data visualization tool can consume it? Yes. This staging of re-usable data for consumption and display BI and analytic tools is called data blending, data preparation, data franchising, data munging, or data wrangling. This is such an important process that several VC-backed tools on the market were recently introduced just to tackle this challenge. What you may not know however, is that the IRI CoSort data transformation and staging software package -- now also inside the IRI Voracity ETL platform -- has been both reporting on and handing-off data faster than anyone since 2003. In 2018, Voracity was declared a Production Analytic Platform by Data Warehouse industry founder Dr. Barry Devlin. 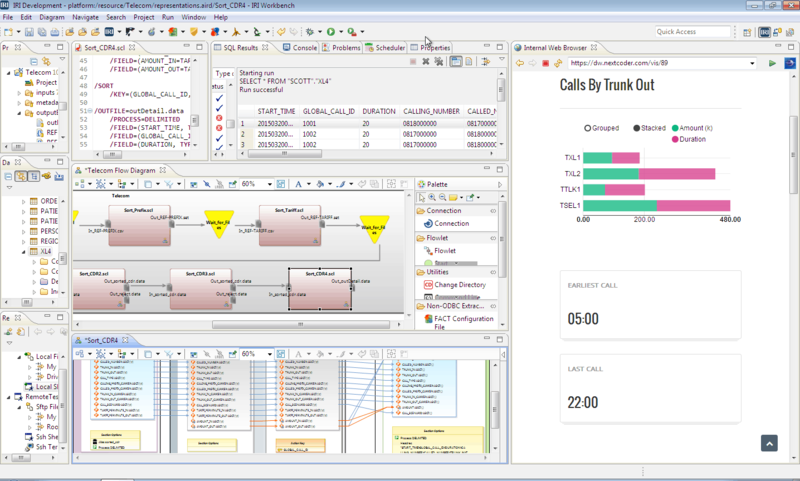 Data integration, cleansing, and masking all run simultaneously in one consolidated SortCL program (the default CoSort and Voracity engine). Use it to rapidly and reliably wrangle and govern disparate data sources for use and re-use by your BI or analytic platform. Choose from multiple data preparation job design options in the free Eclipse™ GUI for Voracity, and process that data in Windows, Unix, or Hadoop file systems without buying more hardware or taxing a database. In data preparation or franchising, disparate sources of data are gathered, filtered, de-normalized, sorted, aggregated, protected, and reformatted. With this approach, your BI tool can import only the data it needs and in the table or flat file (e.g., CSV, XML) format it needs. Build the subsets that dashboard, scatter plot, scorecard, or other analytic tools need, and can handle. Centralized data preparation also avoids reproducing or synchronizing data every time another report is needed. Apply the function you need -- using data classes and rules -- based on appearance, reversibility, and authorization. 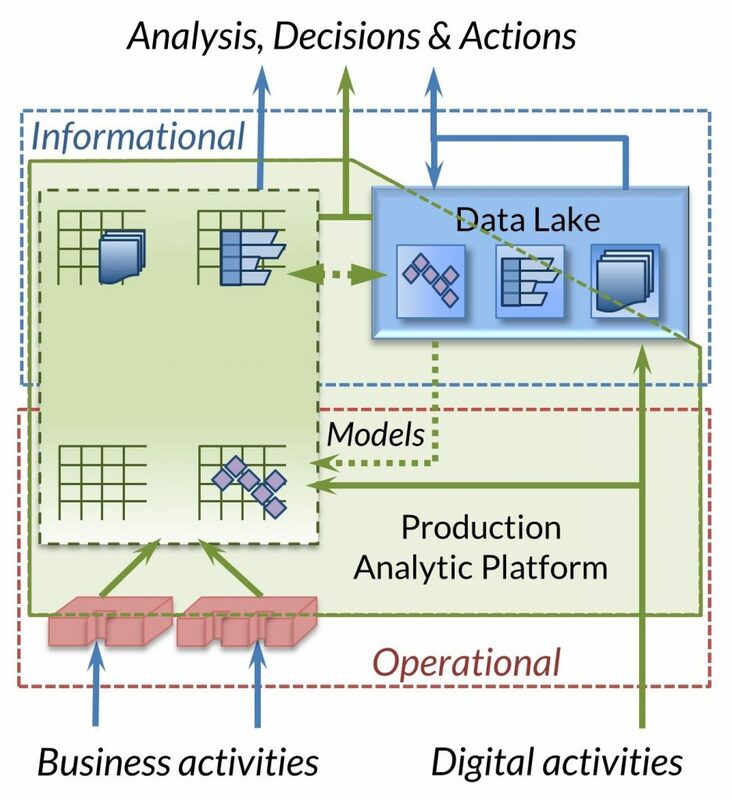 If you use an analytic or BI tool like BIRT, Business Objects, Cognos, DWDigest, Excel, iDashboards, Knime, MicroStrategy, OBIEE, Power BI, QlikView, R, Splunk, Spotfire, or Tableau to integrate data now, you should consider offloading that burden to an engine and framework designed to do that well. The fastest, most affordable, and robust environment for preparing data is IRI Voracity. Built on Eclipse™ and powered by CoSort or Hadoop engines, Voracity can discover (profile), integrate, migrate, govern, and prepare data for multiple BI and analytic targets at once. If your data is already defined in another ETL or BI tool, the Erwin (AnalytiX DS) Mapping Manager and Meta Integration Model Bridge (MIMB) will automatically convert your source metadata into SortCL Data Definition Files (DDF). But if you don't have that metadata, it is easy to create and manage it in IRI Workbench as you map sources to targets. Processing, and reporting from, semi- and unstructured data sources is possible as well.